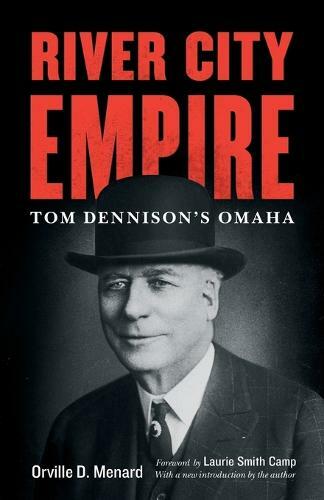 More than any other political boss of the early twentieth century, Thomas Dennison, "the Rogue who ruled Omaha," was a master of the devious. Unlike his contemporaries outside the Midwest, he took no political office and was never convicted of a crime during his thirty-year reign. He was a man who managed saloons but never cared for alcohol; who may have incited the Omaha Race Riot of 1919 but claimed he never harmed a soul; who stood aside while powerful men did his bidding. His power came not from coercion or nobility but from delegation and subterfuge. Orville D. Menard chronicles Dennison's life in River City Empire, beginning with Dennison's experiences in Colorado mining towns. In 1892 Dennison came to Omaha, Nebraska, where he married and started a family while solidifying his position as an influential political boss. Menard explores machine politics in Omaha as well as the man behind this machine, describing how Dennison steered elections, served the legitimate and illegitimate business communities, and administered justice boss-style to control crime and corruption. The microcosm of Omaha provides an opportunity for readers to explore bossism in a smaller environment and sheds light on the early twentieth-century American political climate as a whole.